The role of the Policy Research & Planning division of the Institute is to conduct studies in the region evaluating land use, public policy, economic and community development, and infrastructure investment, including, but not limited to public transit.  There are many examples of these types of activities within BSD’s region, from Transit-Oriented Development studies to exploring the value of public infrastructure in stimulating and enhancing economic and community development. The Institute may use this research, either on its own or in partnership with other organizations, to make public infrastructure and economic development increasingly relevant in strengthening the fabric of the St. Louis regional community. Indeed, depending on the nature of the work, partnering with other organizations may prove beneficial in providing additional perspectives and capabilities on specific tasks. In addition, building on BSD’s role as the region’s public transit authority, there is tremendous potential to examine the role of public transit in community-building in St. Louis. Using fact-based, defensible research, the Institute is able to provide a consistent message to the St. Louis regional community to address these and other questions. Publishing the Institute’s work and research in a variety of media could also help make public policy and economic development issues more relevant in the region, and add to BSD’s status as subject-matter experts locally, statewide and nationally.